HAL runs the only overhauling facility for Su-30s outside Russia. The facility was required as the fighter fleet requires regular maintenance and service. Hindustan Aeronautics Limited (HAL), a leading Indian Defence Aviation public sector undertaking, will manufacture components for the Russian Sukhoi Su-30MKI, as part of the ‘Make in India’ programme. The Russian-made Su-30MKI aircraft remains the backbone of the Indian Air Force (IAF), providing a huge opportunity to India’s defence production industry to take on projects under the 'Make-In-India' programme, with around 322 components to be manufactured. 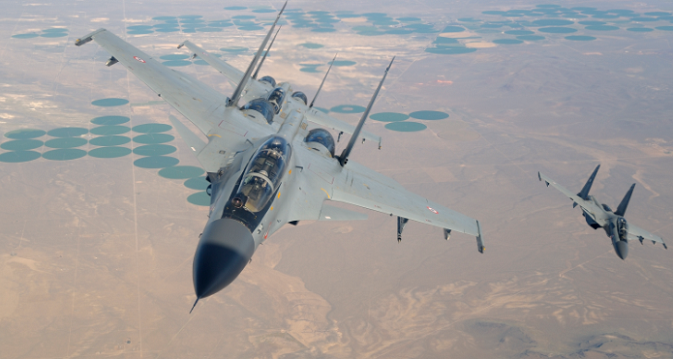 With around 300 Su-30MKI aircraft operational in India, HAL already manufactures these aircraft at its Aircraft Manufacturing Division at Nasik, through a transfer of technology (ToT) agreement. HAL is responsible for repair, maintenance and overhauling of these aircraft at this plant. HAL runs the only overhauling facility for Su-30s outside Russia. The facility was required as the IAF’s fighter fleet requires regular maintenance and service.